We all love a good pair of jeans, it’s a must have essentials in our wardrobe. Res Denim is vastly influenced by grunge and youth rebellion. Locally designed right here in Melbourne their denim is crafted to perfection for all body types and shapes. Created not so long ago in 2012 and has now taken the U.S by storm. Res denim is an influx of the 60s right through to the 90s influence rewind and is here to stay and is going stronger then ever. I interviewed Elly Frango head designer at Res Denim, as she describes a captivating insight about herself and Res Denim. Tell us a little bit about yourself Elly about your fashion journey about where you are today. I grew up in a small town learning ballet for many years and had a huge love of dress ups and costume; I was forever customizing my own clothes. From there I studied fashion and have been working as a designer since 2001. Very early in my career I knew I wanted to specialise in denim. Growing up in the heart of the 90s I loved rock and metal and was constantly inspired by denim icons such as Kurt Cobain / Nirvana, Metallica and Guns’n'Roses. I’m not sure my design career was going to go any other way, the inspiration for my calling was far to magnetic. I began working for iconic Australian denim company Bradmill as a denim trend Bradmill cotton mills opened in 1927 in Yarraville, Melbourne and have been providing fabric to both the local and international market ever since. Here I worked with the owner of Bradmill who continues to be an amazing mentor for me. Since then I have travelled the globe forecasting and designing for many major players in the denim industry. A few years down the track RES Denim was born and I am really enjoying the entire creative process. Tell us about Res Denim? 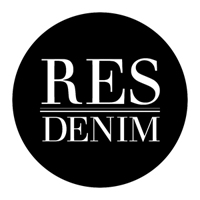 RES Denim is a Melbourne based denim label with over two decades of experience in the denim and apparel industry. Our Parent company Bradmill were the first denim manufactures in Australia, supplying denim to some of the worlds most iconic denim brands. Using premium European fabrics from Turkey & Spain, combined with heritage Bradmill fabrics, we continue to innovate traditional denim techniques, expertly crafting them for the modern individual. We’re inspired by the denim icons of the 60s right through to the 90s, legends such as Kurt Cobain and Blondie. We look to the vintage classics to inspire our modern interpretations. What is “usual” day in head office at Res Denim? The great thing about this industry, and my job in particular is that not every day is the same. My days often involve anything and everything, whether it be fabric sourcing, development of new wash techniques, ranging collections, research and storyboarding, inventing new fits, and everything in between. I’m constantly liaising with production, factories and fabric mills. Another part of the job is brainstorming and getting creative with the sales and marketing team. It’s a great environment that’s inspiring and high energy. How do you gain inspiration for different looks/types of jeans you come up with for Res Denim? Vintage clothes, old or new fabrics, photographs and books, constantly inspire me. I collect vintage denim and leather along with original band tees and vinyl. Music is a huge inspiration for me, I’m into rock, southern rock and metal from the 1970s and 80s. I look to vintage men’s denim for inspiration. Male denim icons are my vice, Bon Scott, Jeff Bridges, Slash, Robert Plant, James Hetfield and Bruce Springsteen just to name a few. How do you source your denim? The most amazing thing about being the in-house brand of our parent company Bradmill is that I have access to so many amazing and luxurious fabrics. We use both vintage Bradmill heritage fabrics and also top of the range Turkish and Spanish fabrics. Denim trends what will we see in the near future? For women’s fits the super high-waisted jeans like our Harrys Hi, Gettin Hi and our Wanda are becoming the most requested styles, however people cannot get enough of our torn and deconstructed jeans. Colour wise white jeans are currently making a huge surge along with worn and blue/black denim. Is it true we should wait a couple of months before we wash our jeans? Denim is made from cotton a living breathing organism so its not really supposed to be washed. Jeans that have holes and are bleached back have had so much done to them during the process that washing them constantly just destroys them further. I rarely wash my jeans, I usually just hang them up in the bathroom to get steamed whilst I’m in the shower or inside out in the shade on the line, even the dryer on low heat with a dryer sachet works. But if I really must wash, it’s usually cold-water hand wash with some salt or low enzyme washing detergent and some fabric softener. And lastly any advice to anyone who wants to become a designer or specialise in denim? My advice to anyone wanting to work in design or denim is to firstly study, even if it’s just a course in materials, pattern making, or sewing. I also highly recommend that you also learn illustrator and excel. If you can work in retail this will give you invaluable insight into what the end product of the industry looks like. Intern with anyone that you think might provide you with a solid experience in the field that you want to be in, don’t turn away any offered opportunities you never know where they might take you or what you will learn. Be prepared to listen, work hard and be open to criticism and know that even after 14 years in the industry I’m still learning. Finally always be passionate and experiment whenever you can. Ps, I love Res Denim thank you for creating Res Denim!